The Glenrothes, a Speyside distillery co-owned by well-known independent bottlers Berry Bros. & Rudd, prides itself on mostly-annual vintage releases which are chosen for their “readiness” as opposed to their age statements. 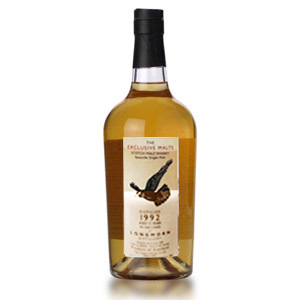 The 1995 vintage (available now in the U.K. and slated for a U.S. release soon), was distilled in October of 1995, chosen for bottling in September of 2010, and bottled in 2011. I was able to try a generous sample, thanks to Danielle at Exposure USA. Thanks Danielle! Every release is aged differently for variation in style year-to-year. 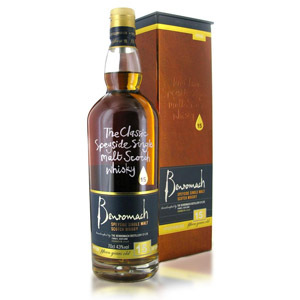 This vintage was aged in 34% first-fill sherry casks and 66% in refill bourbon. 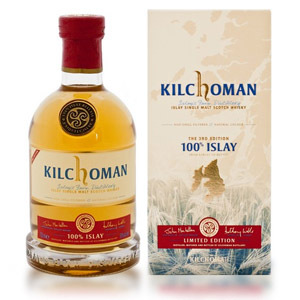 This makes for a whisky with clear Speyside character, signature Glenrothes butterscotch-and-toffee, and a light background of sherry fruit. I think of it as a denser, more refined big brother to The Balvenie’s DoubleWood. Nose: Very lively. A heady mix of florals: heather and honeysuckle with a lemon peel chaser. Peach flesh, filtered honey, and freshly baled hay. 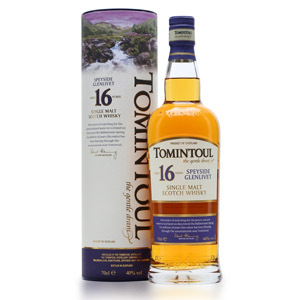 Gloriously Speyside with layers of honey, summer fruits, and light cereals. No overbearing wood here, and only a touch of sherry fruit. Palate: Gentle on the tongue, viscous like thin honey (not chewy, but soft and thick-bodied). Graham cracker, butterscotch, dried apricots, and more honey. A background of fresh juicy plums and ripe red table grapes. Quite smooth. Finish: Not a trace of wood bitterness. Supple and sweet, medium-long and lingering. Some suggestion of dried fruits, otherwise a continuation of the palate flavors. With Water: Brings out white tea and peaches in the nose. Sharpens the palate slightly, bringing out some nuttiness and cocoa as well as a few acidic fruits and citrus. Definitely worth trying with water, although it doesn’t need the improvement. Overall: Elegant and pure. Not too young (the fruits are sun-ripened and the grains fully ripe), and not particularly old (very little oak impact, and no mustiness or resiny notes). A very straightforward picture of Speyside style. The background of sherry notes show a light hand was used with the sherry barrels. The lighter fruits and Speyside honey take center stage. If you’ll excuse the hyperbole, this tastes like sunshine on a cool spring day. Yum. 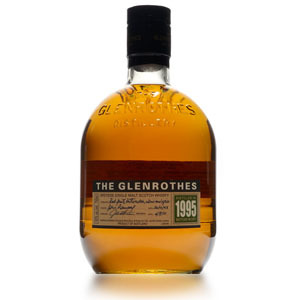 Owned by The Edrington Group and distributed by London merchants Berry Brothers & Rudd, The Glenrothes is known for its vintage-dated releases and distinctive squat rounded bottle. A principal component of the Cutty Sark blend, and also included in The Famous Grouse. The distillery, located in the town of Rothes from which its name is derived, has ten stills and uses both wooden and stainless-steel washbacks. Spirit is filled into both ex-sherry and ex-bourbon casks, from which each vintage is carefully blended to achieve varying effects. Acquired: (Sample) Courtesy of Exposure USA. Thanks, Danielle! I just had some Glenrothes from the $35 value pack of miniatures (which didn’t have any obvious problems, unlike some other miniatures I’ve tried). It had the 1998, the 2001, and the generic “Special Reserve.” Wow was I impressed. I like how Glenrothes markets, or rather, doesn’t market its whisky. No fancy bottles, no colors coding to differentiate the various whiskies, very little information about the casks. They let the taste do all the talking. 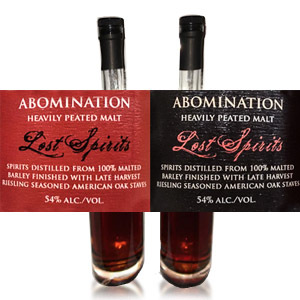 I felt like I was being underpromised and overdelivered drinking those, especially the Special Reserve, which I found mind-blowing for a 40% NAS bottling with no information about the casks (usually, these are not good signs). Just picked up a bottle of this, and I like it! The nose is floral and complex, taste smooth with a good grain flavor, though the middle is a bit sweet. Bitter chocolate is a good pairing. When I tried the Select Reserve last year however, I didn’t bother finishing the sampler! BTW, much cheaper at K&L wines ($70) than BevMo ($93), if you’re on the USA west coast.